Have you lost all of your teeth, but are not too eager to have them replaced with dental implants because of the cost? What if we told you that you can have your teeth replaced with dental implants in the same day at a fraction of the cost? At Glenholme Dental, we offer All-on-4 dental implants in Basingstoke for patients who wish to enjoy the benefits of dental implants at a fraction of the cost. In comparison with All-on-4 dental implants, traditional implants require an individual dental implant for each missing tooth. This can add up to quite a few thousand pounds for patients who have lost several or all of their teeth. Often, bone grafting is also needed before the implant surgery can even begin. This adds extra waiting time while the dental implants to heal. At Glenholme Dental, we strive to achieve precision and accuracy for creating a beautiful set of teeth on only four dental implants. How All-on-4 dental implants are different to regular dental implants? The All-on-4 dental implant treatment uses only four implants per arch, where as conventional implants require anywhere from six to eight implants, or more, in order to restore an entire arch. The implants used in the All-on-4 procedure are placed at an angle, which allows for increased contact by using the natural support of your bone. Moreover, All-on-4 dental implants do not require any bone grafting prior to the implant operation. Once the dental implants are fixed in place, removable dentures are clicked onto them with the help of special fixtures. These dentures are very stable and have the ability to restore your oral function almost completely. 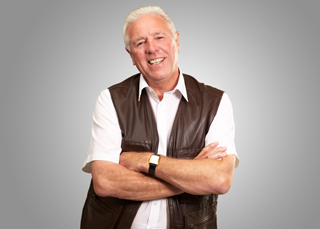 Am I an ideal candidate for All-on-4 dental implants in Basingstoke? All-on-4 dental implants are ideal for patients who have lost most of their natural teeth and have been wearing dentures for shorter or longer periods of time. Age is not a deciding factor, but dental implants candidates should be in good general health. Care to learn more about your dental implant options in Basingstoke? Contact us today to find out more about All-on-4 dental implants. If you have gaps in your teeth, you may have replaced them with dentures. Whether you have or not, you will know that everyday activities such as eating and speaking can be difficult or uncomfortable. Gaps can also seriously affect your appearance and how you feel about yourself. We would all love a beautiful smile that we do not have to worry about and, for our patients at Glenholme Dental in Basingstoke, dental implants have offered just that. 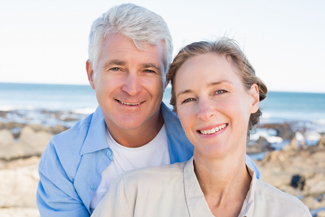 Dental implants are a secure, permanent solution which fit into their lifestyles. 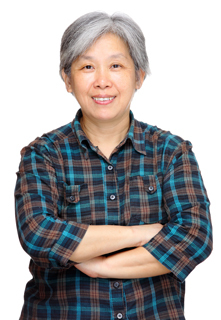 How do dental implants in Buckinghamshire work? The implants are carefully designed metal screws that are fitted into the jaw during a minor surgical procedure, carried out under local anaesthetic. They are hidden beneath the gum and held in place by the bones and blood vessels meshing around them. When they are stable, they can be used as a secure base for a single replacement tooth, several teeth or a whole set of dentures. For our patients in Basingstoke, dental implants have changed their lives. They function just like natural tooth roots so that you can bite and chew as normal and, apart from regular care, you can forget that you have them. When you choose dental implants in Basingstoke, you will benefit from our commitment to keeping up to date with the latest techniques. When your body experiences any wound, including surgery, it produces a unique set of proteins that simulate the healing process. To ensure fast recovery time, we are proud to offer a procedure that makes use of these special proteins. We take a small sample of your blood and treat it to produce a concentrated mixture of natural healing agents, known as ‘plasma rich in growth factor’. This is carefully applied to the wound to ensure that you heal quickly. When you have dental implants in Basingstoke with us, you can be assured that we use the latest methods to ensure that the process is as effective, safe and quick as possible. To help restore your quality of life and overall wellbeing, you may like to consider exploring how having dental implants in Basingstoke could benefit you. Is your smile missing something? Losing your teeth has an obvious impact on your appearance, but it can also make eating and speaking difficult. This is inconvenient and can make you feel awkward, reducing your quality of life. It can also lead to a restricted diet and affect your nutritional intake. You may have resigned yourself to putting up with gaps or removeable dentures, which can come loose or be uncomfortable if they rub. If you would like to simplify your life, improve your appearance and benefit from a having a full set of teeth, then you may like to consider dental implants. Basingstoke is the home of Glenholme Dental and we are proud of our experience of fitting implants. It may sound too good to be true but when you choose to have dental implants in Basingstoke with us, then same day teeth really are possible. We can remove any teeth that are not viable, gently place the implants into your jaw, then make and install your teeth all in one day. You have the opportunity to relax while we create your replacement teeth in our in-house dental laboratory and we have been told by patients that the whole process is no worse than a filling or extraction. You could be enjoying eating dinner with your new teeth that same evening. When you choose dental implants in Basingstoke, you will find that, are stable and hidden beneath the gum, they function just like natural tooth roots. Your replacement crowns are made to match the size and tone of any remaining teeth and to complement the shape of your mouth, so your new look will be improved but very natural. Having a full set of teeth gives you a more beautiful smile, and also provides your cheeks with support from the inside. This can prevent the sagging which can occur when you have missing teeth. They do require the same high levels of care that natural teeth do, and, if looked after properly, having dental implants in Basingstoke is a stable, lasting solution to missing teeth. We look forward to discussing how we can help you with dental implants in Basingstoke and enable you to take pleasure in your smile again.